Sweet summer strawberries, blackberries, blueberries, & raspberries. Grown organically. Picked fresh. Frozen with care. USDA organic. Stay fresh resealable bag. We've been growing organic produce for more than 25 years and know a thing or two about what it takes to make the freshest and most delicious organic produce. 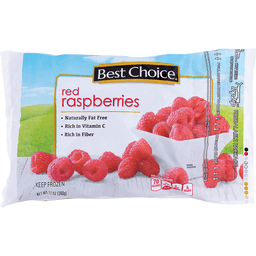 Now, we've invested everything we know about fresh produce to bring you this berry basket blend and an entire line of premium frozen fruits and vegetables. 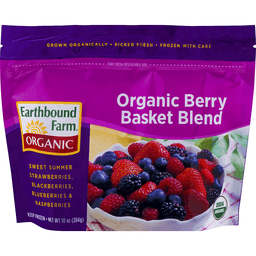 We think you'll taste the difference - and appreciate the convenience of having this delicious organic berry basket blend available in your freezer anytime, for smoothies, recipes, desserts, and whatever else you dream up. Certified organic by CCOF. www.ccof.org. Hungry for more? Cook - explore - save - learn at EBFarm.com. Connect with us on Facebook and Twitter.